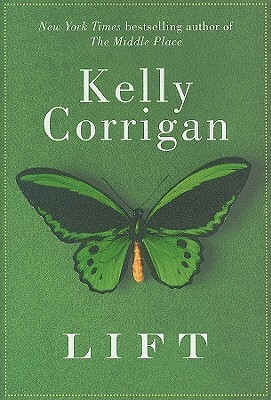 Written as a letter to her children, Kelly Corrigan's Lift is a tender, intimate, and robust portrait of risk and love; a touchstone for anyone who wants to live more fully. In Lift, Corrigan weaves together three true and unforgettable stories of adults willing to experience emotional hazards in exchange for the gratifications of raising children. Lift takes its name from hang gliding, a pursuit that requires flying directly into rough air, because turbulence saves a glider from "sinking out." For Corrigan, this wisdom--that to fly requires chaotic, sometimes even violent passages--becomes a metaphor for all of life's most meaningful endeavors, particularly the great flight that is parenting. Corrigan serves it up straight--how mundanely and fiercely her children have been loved, how close most lives occasionally come to disaster, and how often we fall short as mothers and fathers. Lift is for everyone who has been caught off guard by the pace and vulnerability of raising children, to remind us that our work is important and our time limited. Like Anne Morrow Lindbergh's Gift from the Sea, Lift is a meditation on the complexities of a woman's life, and like Corrigan's memoir, The Middle Place, Lift is boisterous and generous, a book readers can't wait to share.